What we know of the traditional Dad or ‘man of the house’ role for some families is bestowed upon the young sons of households which develops an unhealthy and often times unrealistic sense of responsibility or duty. The responsibility that young men are asked to shoulder is not practical for them but can be argued as always being the default responsibility when dad is absent. We will definitely discuss that relationship in a different article later. Something to also consider is the impact this has had on mothers who now find themselves assuming the dual parenting role. In recent years many women have felt the stress of having to be mentally flexible by shifting between their ‘idea of self’ and the ‘idea of the pseudo-personality of dad’. I wonder is it such an easy transition or done with the idea that ‘I am doing the best I can’? The concern I have is how do the children fair through these situations. The children are robbed of so much because of what is not provided. The lack of stability that can be brought with both parents in the house is huge. Imagine the relationship issues that can be developed from not having enough engagement for the children. Mother’s don’t have to be, and cannot be Dad. So, often they have to cover a lot of ground attempting to provide a complete parental experience for their children. This is an incredibly large topic and I want to focus specifically on the need for ‘Dad’. My goal is to stimulate a dialogue about progress for the lives of our future community. It is amazing how we as adults can look out and see the possibilities of what the community can look like if we honestly assess our impact on the children we raise. 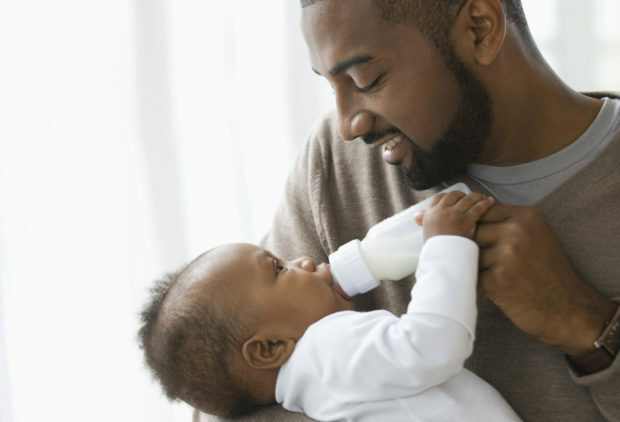 There is stability in every community regarding those that are the biological Dad or play the role of Dad are given the autonomy to be active. The issue or concern I have is related to the stresses of how important it is to them (Dad) to be a parent. Unfortunately, parents do not have a manual to guide them to be parents over their children. But then again, most parents probably wouldn’t read through the whole thing. If there were training courses available for fathers, it’s possible that they would have difficulty staying consistent. The attitude that is attributed to men in this instance is a stigma of ‘lack of communication’. It is important to consider how young fathers are being supported in the process. For example, where can new fathers learn the ropes of being a “father”, while still learning themselves? If there is no community to aid in supporting men emotionally as well as assist in legal support? How do they overcome issues that arise from broken relationships leading to a disconnect in parenting dynamics? I encourage the active or ‘acting’ dads to come together and build a network full of programs to support each other. Let’s answer the question definitively ‘Who needs Dad?’.